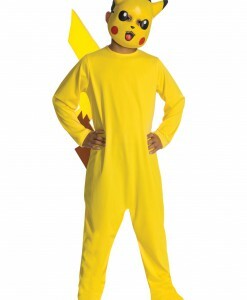 Have your little one ever dreamed to become one of those popular Pokemon this Halloween season? If so, then you are in the right spot for the best Pokemon costume ideas. Appeared in 1996, Pokemon is currently the world’s second-most successful video game franchise. Featuring outfits like Pikachu, Ash, and Girl Pikachu, you cannot go wrong with our Pokemon outfits. Whether you are going to wear your costume to the next Halloween party or another dress up party, you are surely going to love our Pokemon costume ideas. We are here to help you and your little one achieve the dreams of getting all the badges and becoming the champion! Two things which your kid will need to start a journey in the Indigo League are an outfit that lets everyone know that your little one means business, just like Ash Ketchum, and a Pokemon to rely on. We are willing to supply you with both, so just consider us to be your personal Professor Oak! 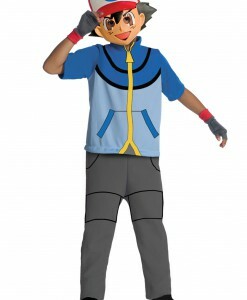 Here you can find Pokemon Ash along with Pikachu costumes for kids. So have your little boy and his friends dressed up in Pokemon costumes for a perfect group Halloween costume! 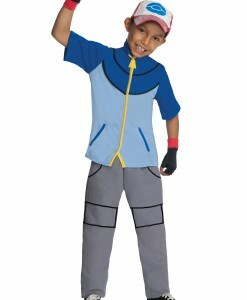 The kids’ Pokemon costume ideas are a great choice for the little boy who wants to look great while trick or treating. Get your little one dressed up as a Pokemon for him to go out and show off his beautiful, colorful outfit to his friends. Pikachu or Pokemon Ash – no matter what Pokemon your little one wants to look like as long as we have all Pokemon costume ideas in one place. Our adorable Pokemon costumes offer a great chance to team up with your friends for some very funny Halloween photos. Our online store is the perfect place where all your costume and accessory needs are covered with free delivery anywhere in the UK, USA, and Canada. For more Video Game & Toy Costume Ideas, browse our extensive selections of Skylanders Costumes and Angry Birds Costumes, where you will find a wide variety of high-quality costumes to wear for the next Halloween party!